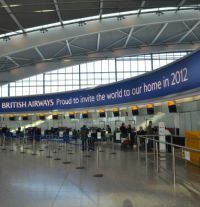 British Airways will further strengthen its African network this winter when it begins flying to Liberia. This will bring to 19 the number of destinations it serves from London to 16 African countries. 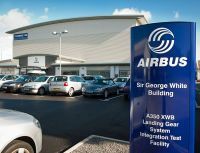 Having sold its 20% holding in Airbus in 2006 BAe Systems now says it is in advanced talks with EADS, the Airbus parent company, to create a new company that would overtake Boeing in sales and be in a strong position to deal with military cutbacks in Europe and the United States. EADS operates the former BAe factories at Bristol and Chester. 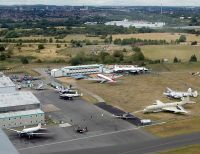 For aircraft enthusiasts in the Midlands the next couple of weeks will be the last chance to see the Coventry Airport’s iconic AIRBASE living aviation museum. It will finally close its doors on the evening of Sunday 30 September. The world famous collection, unique in that most of its exhibits actually fly, is moving over the winter to Newquay/Cornwall Airport, once RAF St Mawgan. It re-opens as “The Classic Air Force” on Sunday 23 March. 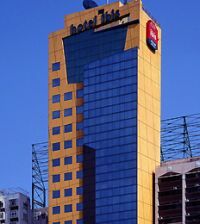 Ibis, part of the French Accor group, has announced the opening of ibis Hong Kong Central and Sheung Wan. 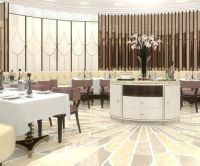 This, the brand's flagship property in Asia, offers 550 rooms, and was designed and built from the ground up with the brand's new identity being rolled out across the world in mind. 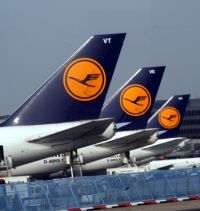 Travellers flying on Lufthansa should be aware that for the next six weeks at least they will not be confronted with flight cancellations caused by cabin crew strikes. Operating six days per week (not Saturday) the all year-round service adds to what the airline calls its “leisure portfolio”, with flights to Palma, Ibiza and Malaga during the winter for the first time. 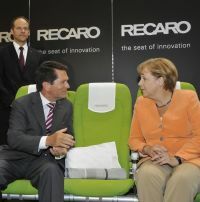 Read next Monday's Business Travel News for the full story. Sign on for free as above. We have had an amazing summer in British sporting terms (BTNews will stick to British – the English football team were normal last week – poor – at Wembley, and the other Home nations even worse). Britain pulled out the stops, air traffic worked, the airports for the most part operated smoothly, Eurostar did not break down, and Transport for London achieved a notable accomplishment in terms of reliability and friendliness. In his speech at the Aviation Club British Airways’ boss Keith Williams summed up another side of the achievement. “London 2012 was as much about the organisers, the armies of volunteers and the public coming together as it was about the athletes. They were a huge part of the success”. We were all pulling in one direction for six glorious weeks. Most of us were not around in 1939. What happened then was not dissimilar and the effort was for five more years. Let us hope that this mood of optimism can continue. Yes, the trains are starting to break down from time to time. That is the minus of an Underground system which now communicates every problem. The Unions are up with their usual threats. And the Border Control queues are creeping up. All this needs to be watched very carefully. We must keep up the momentum of 2012 and from this beginning leave the economic blues behind us. Team GB is everyone. Let’s now think positive. 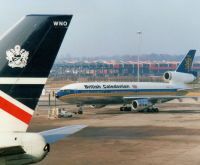 Virgin Atlantic is to trial the ARINC’s Cabin Connect wi-fi system on three Airbus A330 aircraft commencing in early 2013. ILA Berlin this year, which closed yesterday (Sunday 16 September), must go down as one of the weirdest aviation gatherings of all time. Previously held in the spring it was moved to accommodate the opening of Willy Brandt Berlin International Airport which uses the same runways. In actual fact, much to the embarrassment of the Germans, the new airport was not open and the aircraft that did take part in the show were able to use the runways at their leisure. Motel One, the Munich-based budget-design hotel chain, will open its first UK hotel in Edinburgh this December. Motel One currently has a 39-property strong portfolio featuring hotels throughout Germany and Austria. Over the next few years expansion plans include a second Edinburgh hotel set to open in autumn 2013 and a flagship London hotel, scheduled for a 2014 opening. 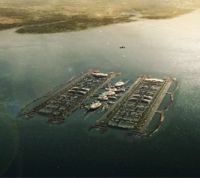 World renowned architect Gensler has unveiled plans for a floating airport in the Thames Estuary to rival that of rival architect Foster + Partners, and the hypothetical Boris Johnson scheme. The London Britannia airport would have four runways, 400 gates and operate 24 hours a day. bmiBaby made its last flight on 9 September after new owner International Airlines Group (IAG) failed to find someone to buy the budget carrier. Mark Field, MP for the Cities of London and Westminster, has visited the new Westminster InterContinental due to open in the former Government building, Queen Anne’s Chambers, in November 2012. The hotel represents a major investment worth £150m and will feature 256 rooms, including 44 suites. It is the first new London InterContinental for 36 years. The familiar Novotel Hotel in London’s Euston Road, between St Pancras and Euston stations, has become a Pullman, after a major makeover. It is the first of the upscale Accor brand in the UK, specifically designed for the business user. The property features 312 rooms and also 17 spaces for events and business meetings, including the intimate and beautifully furnished 446-seat Shaw Theatre, available for arts and corporate use. With the arrival of the Boeing 787 Virgin Atlantic plans to move its Tokyo operation to Haneda Airport from the start of the summer season 2014. 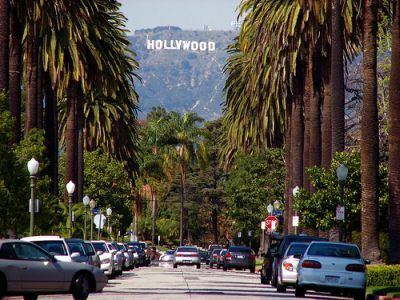 The city of Los Angeles is one of the most popular destinations from the UK and worth 1.3m passengers in 2011, 9% up from the previous year. It is served non-stop only from Heathrow, and by five airlines. British Airways three times daily, twice daily by Virgin Atlantic, and with single flights by Air New Zealand, American Airlines and United. 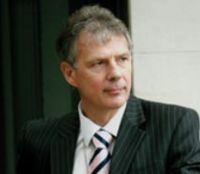 At last week’s Aviation Club lunch Keith Williams, CEO of British Airways, introduced himself by noting that people are confused about roles within the new structure. He also said that he was very honoured to accompany the Duchess of Cambridge for a medal ceremony during the 2012 Paralympic Games at Stratford. He presented the flowers. Wife Lynn was not amused. “Perhaps you might bring some back for me next time”, was her comment. As predicted by this publication, but not the headline hungry Nationals, Heathrow sailed through the Olympics without any serious problems, and with just a slight drop in numbers. Whilst it did have a record peak of just under 250,000 passengers this was for just one day, and augmented by the fact that the specially built Olympic centre on the southern side took most of the strain. British Airways Chief Executive Keith Williams was the speaker at last week’s Aviation Club lunch at London’s Institute of Directors. He gave an entertaining discourse noting that the acquisition of bmi, and its Heathrow slots, would cover the airline's immediate expansion plans. As regards the future he was remarkably sanguine saying several times that 2015 and the Davies report would be the time to speak. Partly owned by British Airways, Flybe has confirmed it is to pull out of its Aberdeen to Gatwick service at the end of the airline summer season 28 October. 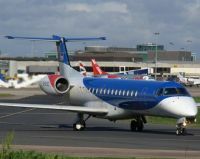 It was announced in January 2008 that flights between Aberdeen and Gatwick would be taken over by Flybe following the decision of BA to drop the route. 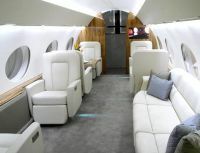 What is probably the world’s most advanced dedicated executive jet has been certificated by US Federal Aviation Administration (FAA). 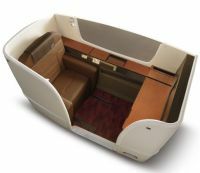 Narita Tokyo to London in January has been chosen for the launch of what Japan Air Lines calls its “All new product launch”. This announcement comes days after JAL launched one of the most successful IPO in Japanese corporate history, raising $8.4bn. In January 2011 the company filed for bankruptcy protection. Connectivity is now the buzz word at Singapore Airlines. The airline has formally launched an in-flight connectivity as part of a US$50m programme to bring internet and mobile data services to customers, even when flying at 35,000ft. Pretty well on time (in fact just one month late as featured in BTNews 27 June 2011) the very upmarket Wellesley Hotel Knightsbridge is set to open in December of this year.